Cats No. 1 in B1G in FG% defense (.390), No. 2 in 3PT defense (.322) and No. 2 behind #Badgers in scoring D (64.6 ppg). 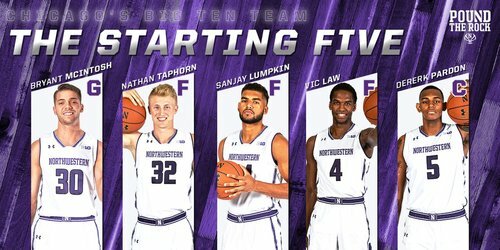 Officials for #Badgers -Northwestern, which tips in about an hour: D.J. Carstensen, Lamont Simpson and John Gaffney. We're 1 hour from tip. And before anyone asks, #Badgers Van Vliet is out today. Left foot/ankle. 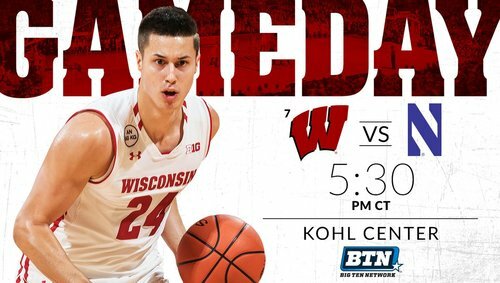 Wisconsin starting five vs. Northwestern - Showalter, Brown, Happ, Hayes and Koenig. Badgers have won 9 of 11 vs the Cats. #Badgers give up open J on ball screen; Happ doubled immediately first time he touches ball. Happ with the 17-foot jumper. Ethan Happ made a jump shot without jumping. That's how good he is. A jumper out of the paint for Happ. 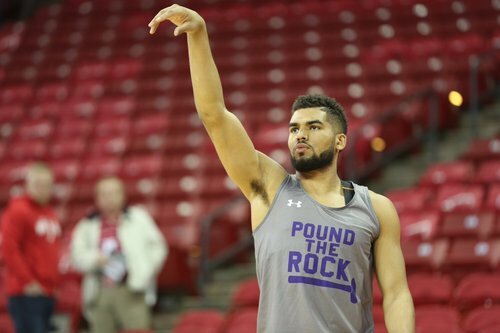 He's been pretty hot from that range in practice leading up to this game. 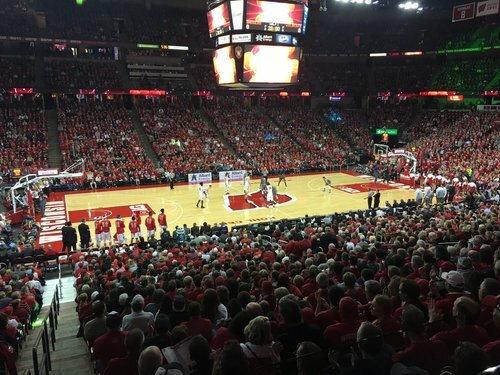 #Badgers up 6-4, 15:56 left. 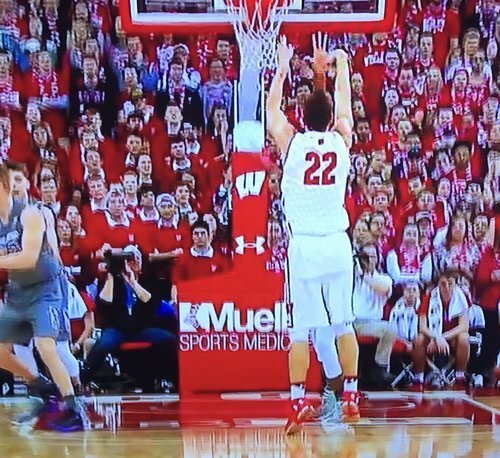 #Badgers Happ buried his second "jumper" of the year -- beyond FT line, inside key. Crowd went bananas. BMAC and DP with the early buckets. If you'r scoring at home, that's now two out of 312 field goals in Happ's career that have come outside the paint. #Badgers 3-5 shooting, all inside 3-pt line, for a 6-4 lead with 15:56 left in half. Wisconsin 3-for-5 FG out of the gates. Happ 4 points for the #Badgers , including a 17ft jumper to excite the crowd. #Badgers Happ at FT line for 2: Miss (badly). Make. You can only hope to contain him. Ethan Happ has that look in his eye early; 7 of the #Badgers ' 9 points already. 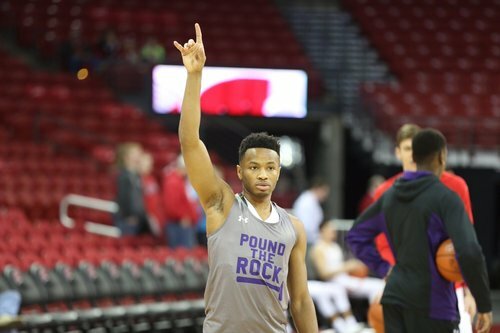 Northwestern 2-for-9 from the floor with no field goals over the last 3:51. 11-4 Badgers at 13:47. #Badgers get a three from Charlie Thomas (2-5 this season). Charles Thomas IV for ????! Wisconsin now 6-for-9 from the floor and the #Badgers lead 14-8 with 12:40 to play in the first half. #Badgers up 14-8 with 11:45 left in first half. Happ has seven points to lead the way. 14-8 Wisconsin at 11:45. Bryant McIntosh 2-for-6 from the field. Ethan Happ with 7 points on 3-for-4 shooting.